With Halloween being a heartbeat away, we decided to get a tad creative with our little orange friend. Here’s some more alternative ways to use the pumpkin this Autumn. Pumpkin is packed full of skin-friendly goodness. Containing an abundance of fruit enzymes and AHAs (alpha hydroxy acids), cell turnover is increased, and skin is brightened and smoothed. It also contains our favourite anti-ageing vitamins; A,C and E, which stimulate collagen production whilst softening and soothing the skin, helping to reduce the appearance of fine lines and wrinkles. What’s not to like? Combine all the above ingredients in a bowl and mix thoroughly. Apply to the face, avoiding the eye area. Leave on for 10 minutes whilst you relax. Remove with a warm damp cloth and apply your favourite True Skincare Facial Oil. This floral alternative is a more sophisticated take on the pumpkin carving tradition. If orange really isn’t your colour, try spray painting the pumpkin in a colour or pattern of your choice. If you’re spraying or decorating your pumpkin, do this first and leave to dry. Then, cut a circle around the stalk of the pumpkin, in the same way you would to carve a traditional pumpkin. Scoop out the inside. Cut the floral foam into the shape of the inside of the pumpkin and soak in water for 20 minutes. 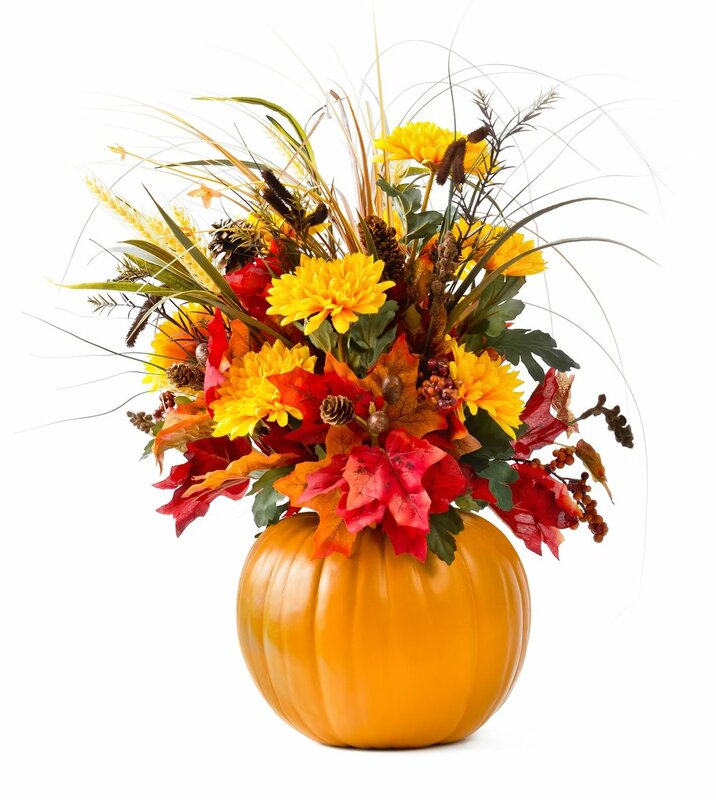 Once soaked, place the floral foam inside the pumpkin and arrange your flowers to taste. Remove the seeds and stringy matter from the inside of the pumpkin. Peel and cut the pumpkin flesh into small chunks and boil until tender. Drain and cool. Return pumpkin to the saucepan and mash with a potato masher. Drain well, and measure 500g of the mashed pumpkin; reserve any excess pumpkin for another use (such as your DIY face mask). If you’ve decided to brave making your own pastry, prepare this by mixing together the flour and salt. Rub butter into flour and combine using 1 tablespoon cold water to mixture at a time. Mix and repeat until pastry is moist enough to hold together. Shape the pastry into a ball and roll pastry out the pastry to around ¼ centimetre in thickness on a lightly floured surface. Transfer to a pie dish and gently pressing pastry into the bottom. Cut off any excess pastry hanging over the sides of the dish, and pinch pastry securely around the inner edge. 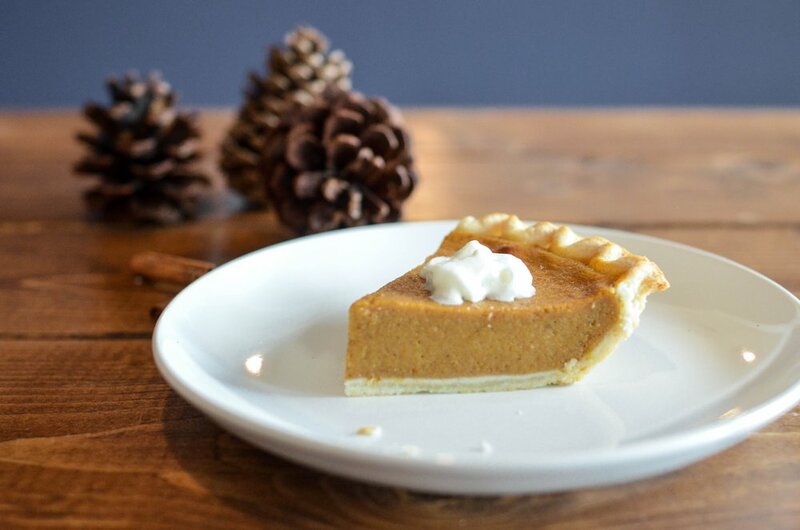 Place the pumpkin puree, eggs, evaporated milk, sugar, salt, cinnamon, ginger and nutmeg in a large bowl and mix with using a mixer on high speed. Pour into the pastry and bake for 40 minutes until the knife comes out clean when inserted.